Fact: Dementia is not a specific disease itself; rather, the term refers to a group of symptoms that can be caused by several different brain disorders. Dementia is characterized by impaired intellectual functioning such as memory loss, language difficulty, decreased perception, and impaired reasoning. Alzheimer's disease is just one of many types of dementia though it does account for between 60 to 80% of all cases of dementia. Another difference between dementia and Alzheimer's disease is that Alzhemier's is degenerative and there is currently no cure. On the other hand, depending on the cause of the dementia, such as drug interactions or a vitamin deficiency, the symptoms of some types of dementia may be reversible. Fact: While most people diagnosed with Alzheimer's disease are age 65 and older, about 200,000 Americans under age 65 are diagnosed each year with early-onset (also called younger-onset) Alzheimer's. 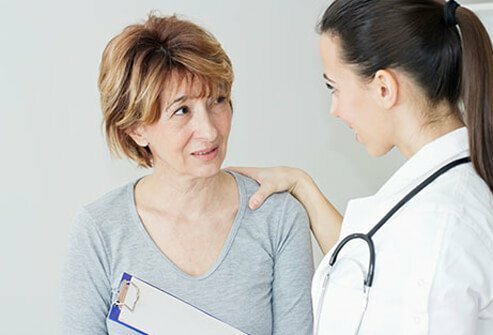 When people are in their 40s or 50s, doctors may not consider Alzheimer's disease and it may take a long time to get an accurate diagnosis. Symptoms are of early-onset Alzheimer's may be attributed to stress, menopause, or depression in younger people. Fact: Some memory loss happens to most of us as we age, but memory loss associated with Alzheimer's interferes with daily life and is a more serious problem. In the early stages, people with Alzheimer's may forget information they recently learned, they may forget important dates or events, and they may ask the same questions over and over. As the disease progresses, people will eventually become disoriented, confused, and may be unable to carry out routine daily tasks. In the later stages people with Alzheimer's lose the ability to eat and talk, and they may become totally dependent on others for care. Fact: Alzheimer's is the sixth leading cause of death in the U.S. One in three seniors dies with Alzheimer's or another form of dementia. People diagnosed with Alzheimer's live on average about 8 years following their diagnosis, but survival ranges from four to 20 years. In the latest stages of the disease, people with Alzheimer's lose their ability to respond to their environment and often lose awareness of their surroundings. They usually require full-time care, and gradually lose the ability to walk, sit, and eventually, swallow. They also become vulnerable to infections such as pneumonia. In addition, high-risk behaviors in moderate stages such as wandering and getting lost can increase the chance of fatal accidents. Fact: Out of the top 10 causes of death in the U.S., Alzheimer's disease is the only one that cannot be prevented, cured, or slowed. 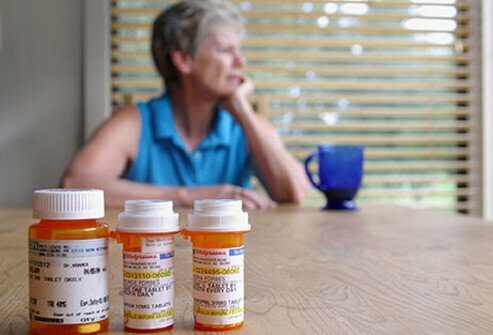 There are two types of medications approved by the FDA to help manage Alzheimer's symptoms, cholinesterase inhibitors (Aricept, Exelon, Razadyne), and memantine (Namenda) prescribed to help treat the cognitive symptoms (memory loss, confusion, and problems with thinking and reasoning) of Alzheimer's disease. Supplements such as vitamin E have been tested but have not been shown to be effective in treating Alzheimer's symptoms. Fact: Aluminum exposure does not cause Alzheimer's disease. A popular theory in the 1960s and 1970s was that exposure to aluminum from pots and pans, beverage cans, antacids, or antiperspirants caused Alzheimer's disease. This theory came about because some studies showed higher levels of aluminum in the brains of people with Alzheimer's, however; some studies did not show this. 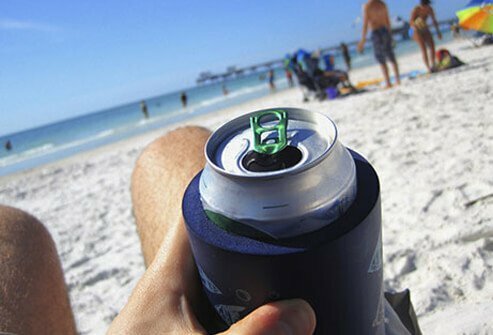 There have been numerous studies on the possible connection between aluminum since and there is no evidence to support the theory that exposure to aluminum causes the disease. Fact: There is no evidence that the artificial sweetener aspartame (marketed under brand names such as Equal and Nutrasweet) causes Alzheimer's disease. The sweetener is a combination of two protein components, aspartic acid and phenylalanine, plus 10 percent methanol (found widely found in fruits, vegetables, and other plant foods). The body breaks down the components in aspartame the same way it would when these substances are found in foods. 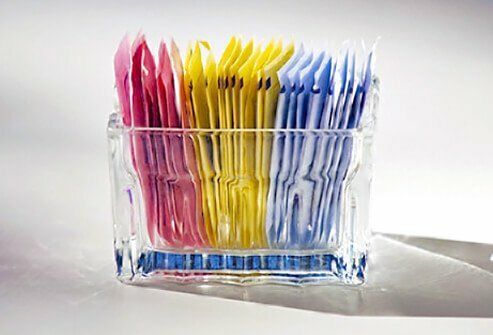 Numerous studies have been conducted to find out if aspartame has any effect on cognitive function, and so far there has been no link found between use of the sweetener and memory loss. Fact: Flu shots do not cause Alzheimer's. This is a theory that was proposed by a now-discredited doctor. In fact, the opposite seems to be true: numerous studies have shown that flu shots and other vaccinations lead to a reduced risk of Alzheimer's disease. 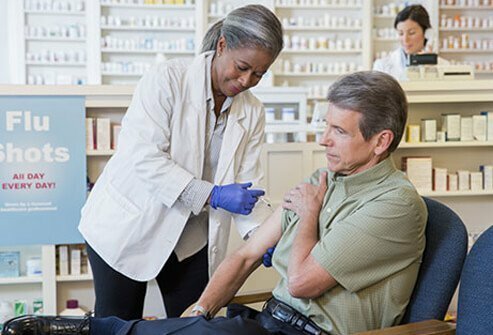 A 2001 report in the Canadian Medical Journal suggested older adults who received vaccinations for the flu and other diseases had a lower risk of developing Alzheimer's than those who did not receive the vaccinations. There are, however, real risks to getting the flu, especially in the elderly. Fact: If you have a certain genetic mutation for early-onset Alzheimer's disease (which accounts for 1% of all cases) you cannot prevent it. However, making healthy lifestyle choices such as exercising regularly, eating a healthy diet, maintaining a healthy weight, and not smoking can support brain health. 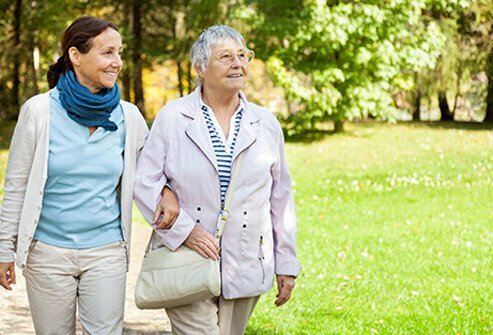 Physical activity and healthy eating can also lower your risk for other diseases such as heart disease and diabetes, which have been linked to Alzheimer's. 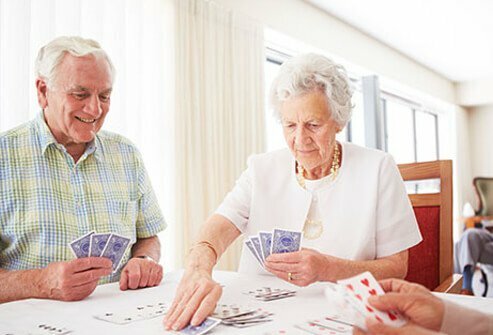 Several studies have also shown that maintaining social connections and staying mentally active and engaged may strengthen connections between the nerve cells and the brain and help lower the risk of cognitive decline. 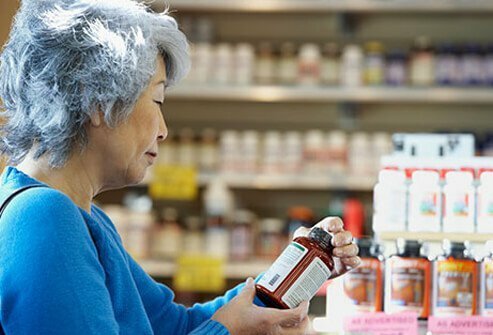 Studies conducted on supplements ranging from vitamins E, B, and C, to gingko biloba, folate, and selenium and how they may prevent dementia have been inconclusive. Fact: Unfortunately, research has also shown that those with a first-degree relative (parent, sibling, or child) with the disease have a higher risk of developing it themselves. And if your parent had early-onset Alzheimer's and you have the specific genetic mutation for the early-onset type, then you cannot prevent developing the disease. There are risk genes and deterministic genes that influence a person's likelihood of getting the disease. A deterministic gene is one that directly causes a disease, guaranteeing that anyone with the gene will inherit the disorder, such as the one that causes early-onset Alzheimer's. Risk genes are those that increase the likelihood of developing a disease, but it is not guaranteed. APOE-e4 is one such risk gene that present in about 20 to 25 percent of Alzheimer's cases. Fact: Some research has shown that moderate severe traumatic brain injury can increase the risk of an individual developing Alzheimer's disease or another type of dementia, even years after the initial injury. Not everyone who experiences severe head trauma will develop dementia and more research is needed to understand the possible link. 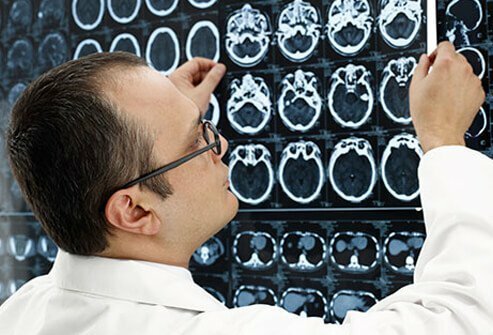 Recent studies have suggested that repeated mild traumatic brain injuries, such as mild concussions from contact sports such as football, hockey, soccer, and boxing could be linked to a type of dementia called chronic traumatic encephalopathy (CTE). Traumatic brain injury may be linked to certain key protein abnormalities found in the brains of Alzheimer's patients. Research also suggests that traumatic brain injury may be more likely to cause dementia in those who have the risk gene APOE-e4. More research is needed to understand these connections. Fact: It is true that some people who develop Alzheimer's disease can become agitated or aggressive, but everyone experiences the disease differently and not everyone with Alzheimer's becomes violent. When people act aggressively, it is often due to the increase in confusion, fear, and frustration that Alzheimer's causes. 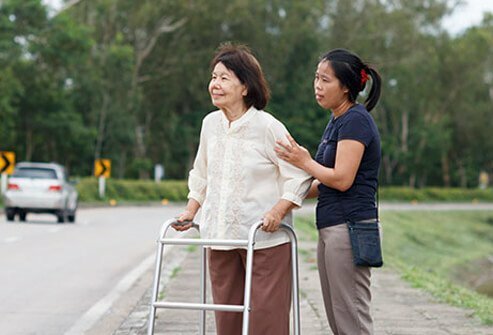 It is important for caregivers to understand what might upset the person with Alzheimer's, in order to manage their environment and to communicate clearly. 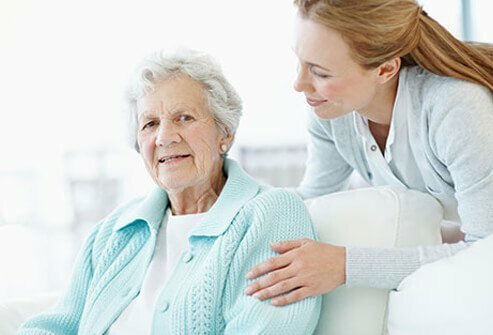 When caregivers learn how to respond to an Alzheimer's patient they can often calm them and prevent many negative behaviors. Fact: People with Alzheimer's disease live active and engaged lives. The Alzheimer's Association suggests many people consider their legacy and find renewed purpose in life following their diagnosis. In the earlier stages of the disease, many people become proactive by volunteering, spending more time with family, making photo albums and writing letters, and even participating in Alzheimer's research. In the later stages, people with Alzheimer's who have support and care can still participate in some activities, and share love and joy with others. Alzheimer's Association: "What Is Dementia? ", "2015 Alzheimer's Disease Facts and Figures", "If You Have Younger-Onset Alzheimer’s Disease", "10 Early Signs and Symptoms of Alzheimer's", "What Is Alzheimer's? ", "Stages of Alzheimer's", "Medications for Memory Loss", "Alzheimer's Myths", "Prevention and Risk of Alzheimer's and Dementia", "Alzheimer's Disease Causes", "Traumatic Brain Injury", "Aggression and Anger", "Leaving Your Legacy"
Alzheimers.net: "Difference Between Alzheimer’s and Dementia"
Alzheimer Society of Canada: "Aluminum", "Myths and Reality about Alzheimer's Disease"
AlzNY.org: "Dispelling Myths about Alzheimer's"
CMAJ 2001 vol. 165 no. 11: "Past exposure to vaccines and subsequent risk of Alzheimer's disease"
FDA, Aspartame Docket: "Is there a relationship between aspartame and Alzheimer’s disease?" National Institute on Aging: "Alzheimer's Disease Fact Sheet", "Preventing Alzheimer's Disease"